Includes exclusive F SPORT design touches, 20-inch alloy wheels, 6-piston front and 4 piston rear brakes. TORONTO, ON. April 11, 2017 – Having debuted its reinvented flagship sedan earlier this year—the all-new 2018 LS 500—Lexus is putting an exclamation point on this signature model with the new F SPORT model. The LS 500 F SPORT, unveiled today and on display this week at the New York International Auto Show, moves the driving emotion needle even farther with handling enhancements and a performance-infused design outside and in. The original luxury disruptor when it debuted to launch the brand, the Lexus LS has for nearly three decades set benchmarks for powertrain smoothness, ride quietness, craftsmanship, attention to detail and long-term quality. The 2018 LS 500, which will offer the most dynamic driving experience in the model’s history; is now promising an even more exhilarating ride with the new F SPORT model. 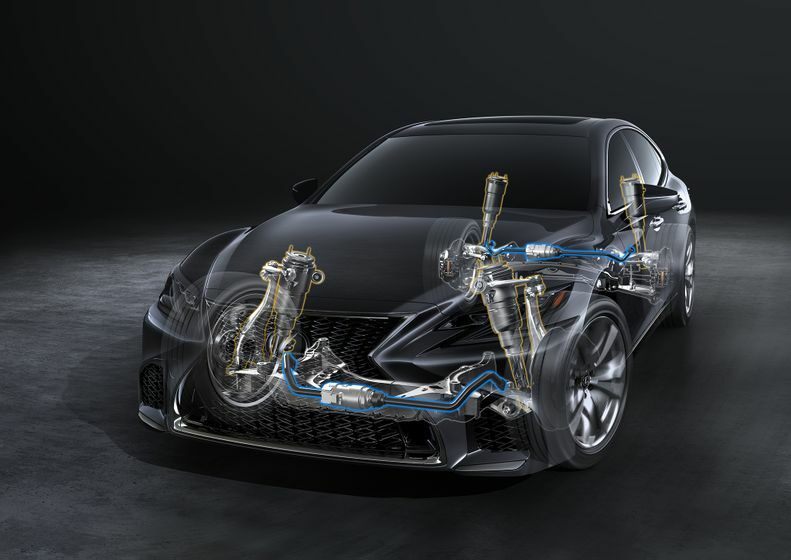 Within the Lexus lineup, the F models, including GS F and RC F, are the track-tuned maximum performance machines. The F SPORT versions, meanwhile, imbue the standard models with a more engaging driving spirit through carefully applied chassis tuning and enhancements, while still emphasizing exceptional comfort. On the new LS, the F SPORT model will be available with gas powertrains models. Lexus designers didn’t hold back when giving the LS 500 its coupe-like silhouette and dramatic rendition of the Lexus signature spindle grille that shows even greater intricacy in the design. Developing the F SPORT grille took computer-aided design (CAD) operators some five months to achieve the desired texture and interaction with light. Even then, 7,100 individual surfaces were adjusted to achieve the desired look and texture (compared to 5,000 for the standard model’s grille). And when combined with the sporty enlarged side grille, the F SPORT grille is functional as well, helping to maintain the vehicle’s cooling performance. The special F SPORT front grille, rocker panel, and trunk moldings accentuate the sedan’s rakish profile, while F SPORT badging on fenders and exclusive 20-inch alloy wheels complete the exterior transformation. The F SPORT persona shines throughout the cabin, starting with the F SPORT-exclusive front seat, which provides enhanced support for dynamic driving. A perforated-grill pattern on seating surfaces and unique scored aluminum trim elements add additional sporty flair. The driver faces a special F SPORT steering wheel as well as a speedometer and tachometer in a movable meter with a meter ring that slides to display information, a design adapted from the limited-production Lexus LFA supercar and a further expression of the car’s dynamic intentions. Attention to detail shows in the aluminum accelerator, brake and footrest pedals, as well as the F SPORT perforated shift handle and footrest. Smooth leather in the seats and headliner is the crowning touch. For those desiring the ultimate sporty look, a new Flare Red interior is available exclusively on F SPORT models. 2018 LS F SPORT model features the latest generation of the brand’s advanced chassis control technology, Vehicle Dynamics Integrated Management (VDIM), which has been refined since its debut more than a decade ago. In 2004, Lexus introduced the first integrated control system that combined the previously independent ABS, TRC, VSC and EPS, as well as other functions, into a single system. In 2012, the brand adopted the four-wheel active steering integrated control system—known as Lexus Dynamic Handling, or LDH—from the GS for enhanced safety and driving performance that responds to the driver’s intention. Equipping the LS 500 F SPORT with standard 20-inch wheels and 245/45RF20+ 275/40RF20 tires, along with larger front and rear brakes (6-piston calipers on front and 4 pistons on rear), unlocks more of the platform’s intrinsic performance capability. 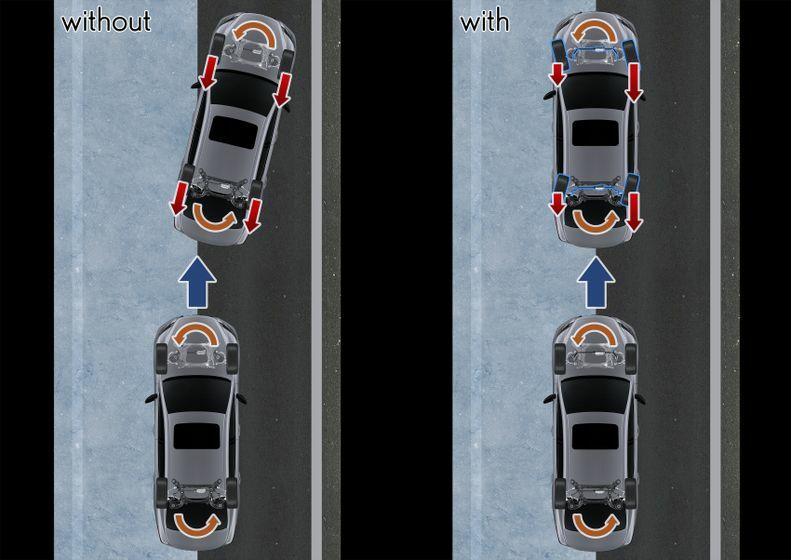 The LS 500 F SPORT (AWD gas model) is equipped with LDH (Variable Gear Ratio Steering and Dynamic Rear Steering), Active Stabilizer, and sport-tuned air suspension with rapid height function. The result is a full-size premium luxury sedan that responds more like a sports coupe through curves, helping to underline what F SPORT stands for. Lexus designed an all-new 3.5-litre V6 engine specifically for the new 2018 LS 500, using twin turbochargers developed through the company’s F1 technology. This new twin-turbo V6 offers V8-level performance – 415 horsepower and 442 lb-ft of torque – paired with the first-ever 10-speed automatic transmission in luxury sedan. The engine yields a broad torque curve and, perfectly in tune with the F SPORT spirit, the new engine and transmission deliver instant acceleration and a constant buildup of torque toward the vehicle’s redline. Electric wastegates are among the features that contribute to the engine’s rapid responses. The driver can tailor powertrain response and feel by choosing from Normal, Sport S or Sport S+ modes, and just enough of the exhaust note is heard to enhance the sporty feel.